A valve phono stage has been developed based on a modified version of the Marantz 7 circuit. 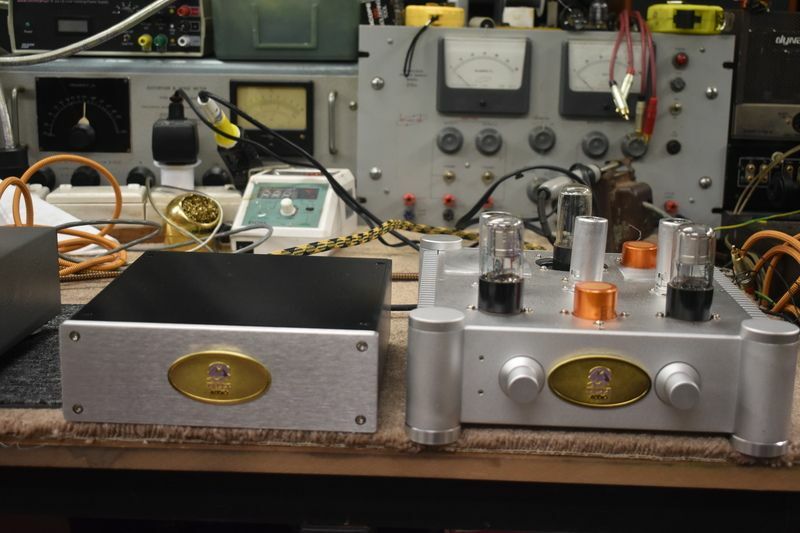 It uses an external R core power transformer and uses 6N7GT 6SG7GT valves. The rectifier is a 5VYGT or equivalent. This phono stage supports moving magnet cartridges, a step-up transformer is needed when using moving coil cartridges. The phono stage is on the left next to the constant current line stage which has orange caps. This phono stage has a lively a clear sound that the Marantz is known for. Please call for pricing and availability.